Have you ever had the urge to sleep while standing but were afraid of hurting your neck when you inevitably fall? Well, now you can put those worries to rest. Take a look at this really cool Travel Pillow, which is more of a wrap than an actual pillow. The way it works is that you wrap it around your neck – not hard enough to cause asphyxiation – and lean your head to the side. The “pillow” should prevent your head from dropping to the side but instead give you supreme comfort while standing upright. 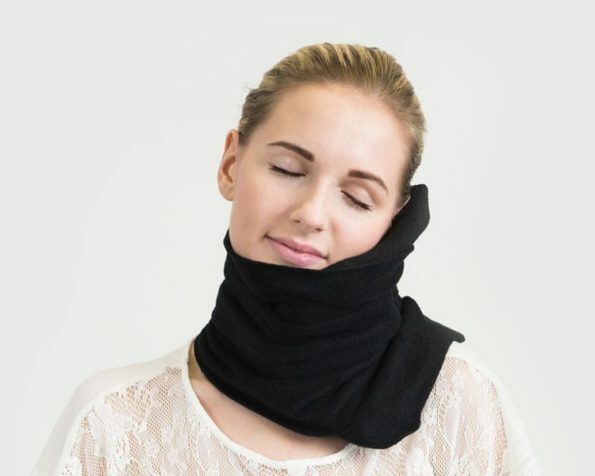 According to the company, this blanket/pillow/whatever is “scientifically proven” to keep your head at the proper position and prevent neck aches.